Summary of the Live Telegram AMA held in the dbcrypto community Telegram chat on 1 March 2019. 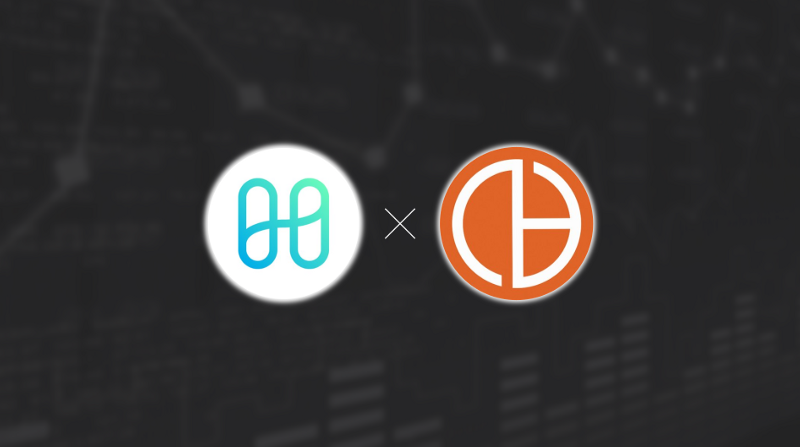 This afternoon we welcomed three of the team from Harmony Protocol into the dbcrypto Community Telegram for a live AMA. When I first read your paper I was impressed with the research you obviously did with the various references made from other blockchain tech that people were looking forward to like: Omniledger/Chainspace. What do you say to the people who just say you’re building a Frankenstein? How can you actually implement these new ideas/research when most of it hasn’t even been proven itself? Thanks for the compliment and great question. Harmony prides itself on combining the best practices from industry with the latest research in blockchain. Tackling the challenge of scalability is more of an engineering problem than a theoretical problem and that means you’ve got to dig into every aspect of the protocol. That’s why we take a multi-layered approach, from consensus, to systems and networking. In the end if you want to build a high performance blockchain it’s going to look like a Frankenstein underneath because of the magnitude and diversity of the engineering challenges that need to be addressed. Our job is to fit all those pieces together and make the protocol look beautiful on the outside to end users. I mean, if you looked under the hood of the iPhone it would look like a Frankenstein too, but from the outside its beautiful and simple, and powers a whole new platform just like Harmony will. In light of recent devnet development where the results were not that great, what would you do to improve the Harmony protocol and achieve the scalability you proposed in the whitepaper. I was only able to achieve 1 transaction per block on the devnet. Thanks for testing our devnet. We need to clarify the purpose of devnet, which is not to showcase the performance of our protocol, but rather testing the basic functionalities of it (consensus, block proposing, money transfer, faucet smart contract etc.). I did benchmark about the performance of the system before, which can scale to around 1000 TPS per shard. Actually the devnet is not setup with simulated test transactions, so all that’s shown are real-user transactions, and that’s why you can’t see big numbers there. In looking at the current position of blockchain technology, what would be the reason for mass adoption of Harmony in the future? I think we can all agree that there are many reasons for the mass adoption of blockchain technology in the future. As a new platform level innovation, blockchain is being used for supply chain management, credentials, identity, energy systems, payments, finance, and many applications we haven’t even dreamed up yet. As we speak, we are witnessing these use cases start to be rolled out and especially seeing rapid growth in Decentralized Finance, but this is just the beginning. As blockchain adoption becomes real and this growth continues, existing protocols are going to hit hard limitations on what they can provide. The industry will need a protocol that can support this massive adoption. That means a secure, scalable and cost effective base protocol, and that’s exactly what we’re building. As blockchain adoption becomes real and this growth continues, existing protocols are going to hit hard limitations on what they can provide. If I’m a developer and I want to make sure my dApp can actually reach millions of users, I will use Harmony. If I’m an institution, I want to build on Harmony because I know they can support the kinds of volumes I need for my use case and at the same time not break the bank. ThunderCore’s mainnet just went live and they have full EVM support. This makes it extremely easy for developers and users to migrate from Ethereum. How will Harmony compete and what will incentives dApp developers to convert? For retail investors, Thunder transition was seamless and it’s fast. Harmony is also EVM fully compliant and we will make sure the migration from Ethereum to Harmony goes as smoothly as possible. I think in this front, Harmony and ThunderCore have a similar vision. However, Harmony is a sharded blockchain which has significantly more throughput than a non-sharded blockchain like ThunderCore, more use cases that need high TPS will have to choose a sharded network like Harmony to be fully feasible. What will be your strategy to gather users on-board to build on the platform? Asking you this because other platforms like Zilliqa are trying to get users onboard through already established companies so they can rapidly get users onboard to use the blockchain. Are you planning to use a similar strategy? Can you tell us if you already have any strategic partners that is interest to build on Harmony? Hey Satnam, love this question. We are working hard on bringing real use cases, real users and real transactions (in some cases real revenue too) to Harmony before we’ve even launched mainnet. There are many exciting partnerships in the works that I can’t fully disclose yet but I can give you the high level. On the enterprise side, we have upcoming partnerships for education records that will onboard 50k-100k students across two state school districts as users. We will soon announce a partnership with an energy company to do energy metering and trading on Harmony. We also have an initiative to be the underlying protocol for a licensed security token and digital asset exchange in Europe. We have many others that I don’t have time to get into but these are a highlights. In terms of dApp adoption, we are supporting EVM reverse compatibility and making it frictionless for existing dApps to shift their contracts from Ethereum to Harmony. We will also carry over all the same developer tools from the Ethereum ecosystem. So if you want to run the same smart contracts at less than a fraction of the cost, with greater ability to scale in the future, it would be a no-brainer to switch to Harmony. Hi team, what are the requirements for running a node? Since we are staking based protocol (POS), you don’t need a beefy machine to be part of the network. A normal t3.medium AWS instance or a mac book pro with 4G+ memory should suffice to become a single node in our network. Are there any plans for future fundraising? Apart from being a node runner. We’ve all seen what happened with BTT and FET on Binance Launchpad which would give your community members a chance to invest into Harmony early on. Hey doublqp, thanks for the question. It really bugs us that we can’t be more liberal with our fundraising, but essentially the regulations around ICOs make doing something on the Binance Launchpad a big risk for us. We are working hard on trying to get our token into the hands of more of our community. In fact it will be crucial to the success of our network. Expect some announcements about this in the coming months, so stay tuned. Also, we are considering doing something we call a “node drop”. I will be like an airdrop, but rather than the superficial tasks of retweeting or posting, the task to earn tokens will be much more substantial. You will have to run a node on the Harmony network. If you run a node for enough time, then we will reward you with tokens for your support. That’s the idea. The “node drop” is actually a great idea to incentivize the community to run a node and reward them for doing such. The reason why I mentioned Binance Launchpad is because (whether we like it or not) Binance is the biggest exchange out there and it would bring a lot of exposure to Harmony. Thanks for your answer Nick. Where will Harmony be in 5 to 10 years? We hope that in 5–10 years, Harmony will be the basis of a thriving digital economy. Harmony will be used for security token issuance and trading, decentralized finance, energy trading, supply chain management, micro-payments, digital media, and a whole ecosystem of applications that are enhanced by the increased trust, transparency and open development that Harmony will provide. In many ways, we can’t predict what Harmony will evolve into. Our job is to lay the foundation and let the community and ecosystem grow and build upon itself. If you had asked Satoshi 10 years ago where bitcoin would be now, I don’t think he would have ever imagined what it has become now. That’s how we feel. Hey Eric, I’ll also jump in here. I’m working on the business development and partnership side for Harmony. In 5 to 10 years, Harmony will become the infrastructure for applications that bring a lot of economic value to users. The easy way to think about it is iOS and Android were the platform that allowed mobile apps to be built and bring value to mobile users. We want to become a platform just as ubiquitous as those ones and let thousands if not millions of applications run on Harmony. In that future, most of the end users will only interact directly with the applications and won’t even see that they are running on Harmony protocol. We want to become a platform just as ubiquitous as those ones and let thousands if not millions of applications run on Harmony. In order to build to this 10 year vision, we really need to design the core Harmony infrastructure to be as scalable as possible from the beginning which is why we are doing full and secure sharding. As far as I know, Harmony uses the pBFT implementation (or parts from it) for its consensus algorithm. How will Harmony handle the case where the leader gets corrupt or the committee will get stuck to avoid entering recovery mode of your protocol? That’s a good question. There are many mechanisms to prevent/mitigate the leader corruption problem. First , the token slashing mechanism will force a harsher punishment if the leader is proven to behave maliciously. Second, our secure randomness-based sharding will ensure that the leader is chosen in a random/fair manner so malicious node won’t have advantage over other of becoming a leader. Third, our re-sharding process will reshuffled the shard so the leader won’t stay in the position for a long period of time. Finally, a leader does do malicious things, we will initiate the view-change protocol to swap the leader out. There is a common, prevalent concern that you guys have already spent a majority of the money you have raised. How much have you have raised thus far and how much have you spent? We have heard such concerns before and they are misplaced. We have practiced good treasury management and have significant remaining funding for the long runway ahead. While we can’t disclose exact amounts I can assure you that we have over 18 months of runway. What is the status of your token economics and how to you plan to embed the “right” stakeholder incentives into your network. I’ve been trying to follow the discussions on your community forum but is there already something set in stone? Another great question, a lot of these conversations are happening internal as we construct our token economic model. We are working with the top Staking as a Service teams in the space who have extensive experience in token economics and game theory to help us design something bullet proof. The key priorities is we want Harmony to remain decentralized and not pool power into the hands of the privileged few or to just a handful of stakers through delegation. We also want stakers to be fairly rewarded for their support and be incentivized to participate in the network through it’s early days and help it grow. At the same time we want to platform to have low fees for users and developers. As you can see, there’s lots of trade-offs and things to consider. We’ve got some good ideas so far but we are still iterating. Awesome! That’s good news, can’t wait to hear the first details on the token economic models. You say you are a ‘fully scalable blockchain’ in the whitepaper, referencing Zilliqa. What is the distinction there that makes Harmony superior to ZIL? In our whitepaper, we detailed some aspects that we are more advanced to ZIL. First, Zilliqa is not state-sharding blockchain, which means it won’t be very scalable as promised. Technically, sharding transactions without sharding state is not truly sharded. We are state-sharded, and we are potentially able to scale to millions of TPS with the current design. Second, Zilliqa’s sharding mechanism is based on the block hash as randomness, which is not secure to ensure the security of a shard. Harmony’s randomness is based our own DRG protocol with the latest technology called VDF (verifiable delay function), which make sure our sharding protocol is provably secure. Please note that some questions and or answers may have been edited to account for grammatical errors and appropriate presentation. This summary does not necessarily include all questions asked and answered during the event. Thanks to Tom Woody for help in collating the questions.